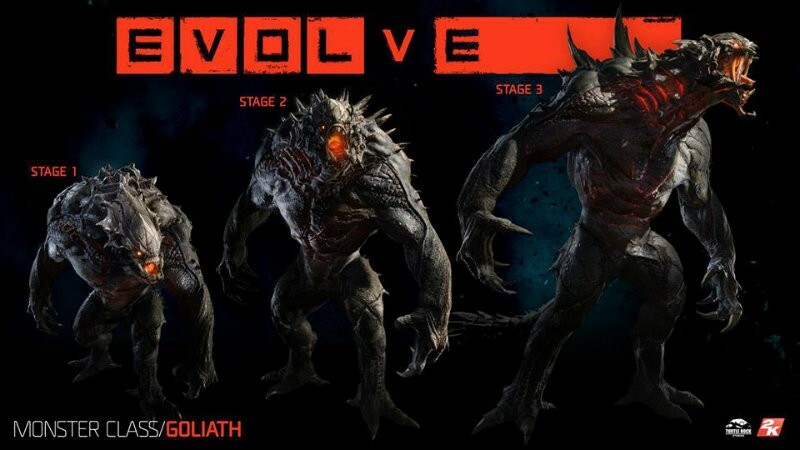 There is a lot of pressure when it comes to being the monster in Evolve. 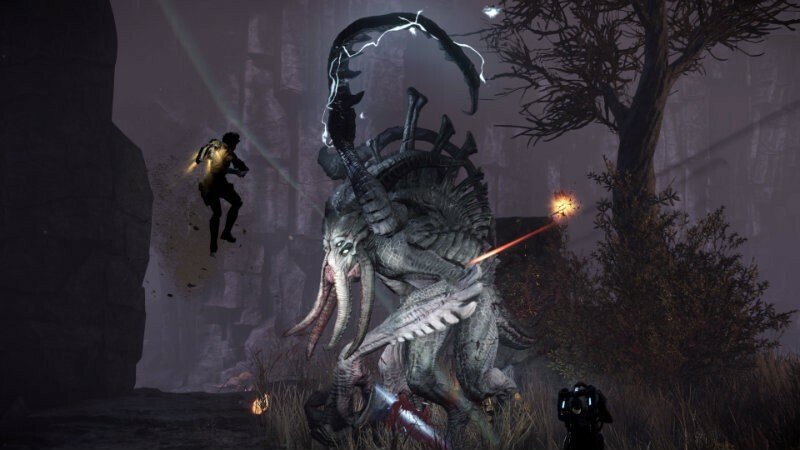 Beyond the high stress gameplay from being on your own, the entire enjoyment factor of the game can rest on your shoulders – if you’re a lousy monster, the hunters will kill you far too easily and the whole experience falls to pieces. So, here are some tips and tricks to help you be the best monster. Map awareness is key in Evolve. You need to know where you are and where you’re going. Beyond that, here are some things to help you use your surroundings to your advantage. Smell, and smell often. Your smell ability is key to finding food, but also to know where the hunters and aggressive animal life are. Remember that hunters will often follow your tracks so feel free to run past some particularly aggressive animals, leading the hunters into attacks that will hurt them and slow them down. Most toxic flora can’t hurt you. There are all kinds of plants on Shear that can cause damage to hunters – feel free to run through these areas to further hurt and slow the hunters. Hunters can’t follow your tracks in water. Be sure to use your sneak ability in combination with water to throw them off your tail. Some maps have a lot of verticality and not all hunters remember to look up. When evolving, sometimes the best place to hide is high up. Goliath is a real bruiser, designed to get up close and personal with the hunters. While the tutorial may teach you particular uses for his four abilities, here are alternative ideas that might help you obliterate the hunters even faster. Abilities are excellent against hunters, but don’t be afraid of using them while hunting for food, too. Fire breath is a particularly excellent way to take out a small heard of prey quickly and easily. Been tracked down by the hunters before you’re evolved/ready? Don’t be shy! Use your Leap Smash ability aimed far away followed by Charge to cover a lot of ground quickly and escape before the hunters can put up the dome and trap you. While Rock Throw can be great from a distance, don’t be afraid to use it up close and personal in combat. When melee attacks just aren’t whittling down a hunter’s health fast enough, feel free to Rock Throw or Leap Smash from right on top of them – maximum damage and no need to really aim. Similarly, Charge can be used in the middle of combat to help push a hunter further away from the pack. This is particularly useful when you’re trying to pick off the medic or support (something that should always be your top priority). More of a wizard-style monster, the Kraken deals damage from afar. With less health and shield than Goliath, Kraken needs to keep that distance. You don’t leave tracks from the air. This can be used to lure hunters to a dangerous place on the ground as you fly free up above. Don’t be shy with the Banshee Mines. They are excellent for ambushes – if you know the hunters are closing in on you, plant them behind you to hurt and slow them down. I particularly like leaving them at the hunter spawn point – nothing hurts them more than killing one of them off before they can even start the chase. Vortex pushes players back, something particularly useful if they’re about to revive a fallen player. This is an excellent tool to use in Rescue missions if they are about to revive a survivor before you can reach them to bring down death from the skies. Suddenly surrounded? Blow your Aftershock followed by a Lightning Strike to scatter the hunters and make them easier to pick off. Throw in a Vortex and they will really struggle to help each other out. Wraith follows the assassin/rogue archetype and is without a doubt my favorite monster to play as. She has the least health and shield, but that in no way makes her the weakest. Warp Blast is an excellent way of dive bombing and exploding hunters when they’re clumped together. However, instead of immediately blasting away, go Supernova and rail on the medic until you start taking damage; then use your decoy ability to move away while your decoy continues to make use of the Supernova buff. Decoy can also be useful for repositioning for the perfect abduction. Let the hunters attack the decoy as you find a great hiding spot from which to grab a weakened hunter; just remember to go Supernova to maximize your damage. 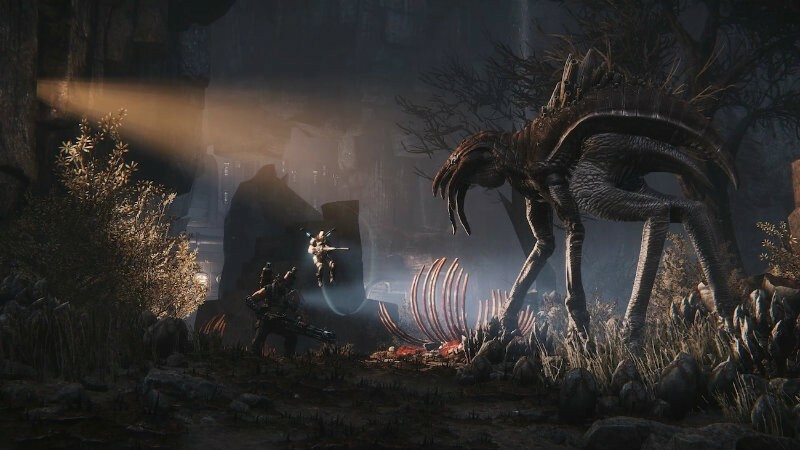 Stay in sneak as much as possible with Wraith; she doesn’t slow down as much as the other monsters in this mode, making it a great way to traverse the map without the hunters finding and catching up to you. During Defend, be sure to use the Warp Blast to take out turrets followed by Decoy so that they don’t take you out instead. 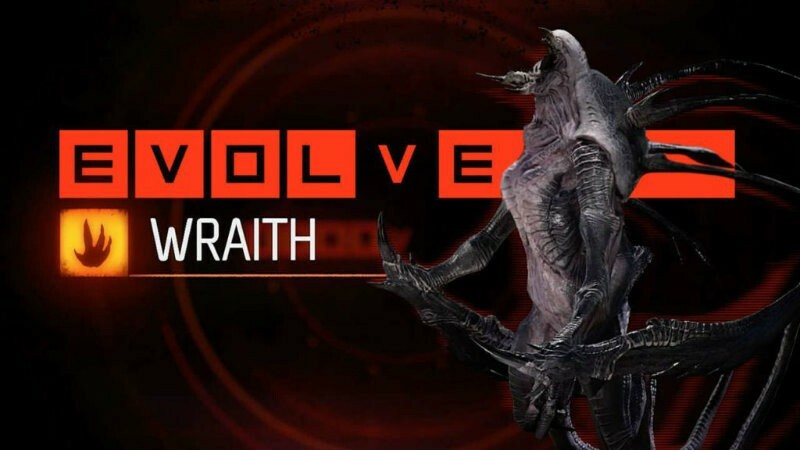 Don’t be impatient playing as Wraith. Deal as much damage as possible but use decoy to disappear so that you can feed and rebuild your shield when necessary. It’s not about frontal assault with Wraith.